A budding entrepreneur, mover and shaker, superior pacesetter, and as well as a remarkable neighbor and friend, Caroline Burks is a force to be reckoned with. 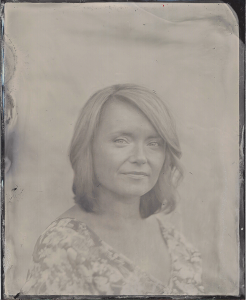 Caroline lives in a Downtown loft apartment with her husband Cory. Together, they are in the process of finding the perfect, and more permanent, home in Laurel’s historic district. 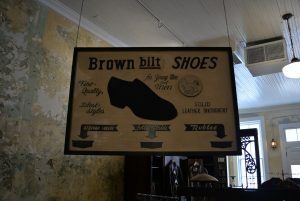 She is a member of Laurel Main Street, and has been involved with the Chamber of Commerce. Although, Caroline is wildly close to making her biggest mark yet in Downtown Laurel. 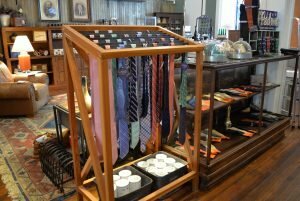 Today Laurel’s newest and only men’s store will be open after countless hours of time, effort, and careful curation by Caroline, her mother, Jan, and every other piece of the Guild & Gentry puzzle. 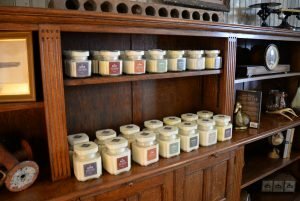 Our Leading Ladies blog series is back with an amazing, Laurel woman and a look into the brand new Downtown business, Guild & Gentry! The purpose of our Leading Ladies series is to highlight and celebrate Laurel women who lead and inspire us. These women are close to our hearts, well-respected by us, and remind us of Nellie Rowell. We chose to write about Caroline because of her loud and proud love for Laurel, inspirational and invaluable ideas, vast contribution to our community, and her genuine friendship. She graduated from West Jones High School, then Mississippi State University with a Bachelor’s degree in architecture. During her fourth year of college, she met her now-husband, Cory, through a mutual friend. They were married in 2013. Around that time, she was offered a job in Tuscaloosa, Alabama where she realized a year later that her love for design did not align with architecture. Her grandfather, Henry Bustin, was a construction superintendent with “Red” Hinton’s crew from the 1950s through the 1980s. He worked on some of Laurel’s most memorable buildings, First Baptist Church, Lauren Rogers Museum of Art, the Laurel Train Depot, and more. On days Caroline’s parents worked, Caroline’s “Henny” picked her up from school and showed her every building he worked on. He shared fascinating details with her only a construction crewmember would know. She is also grateful for Laurel’s tight-knit sense of fellowship and camaraderie between the merchants. 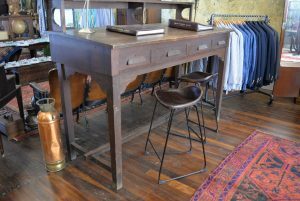 Caroline’s “tuxedo table” and leather-topped stools from Lott Furniture Co.
WHAT IS GUILD & GENTRY? 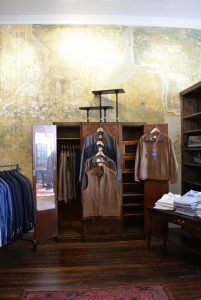 “Guild and Gentry was envisioned as an homage to our town’s craftsmen, makers, investors, and visionaries — both past and present. The name comes from the two groups of men who really founded our town: the “guild”, or the skilled workers who put hammer to nail and left us a legacy of creativity, craft, and ingenuity; and the “gentry”, the men who poured their resources into building a place worth calling home in an out-of-the-way pocket of the Piney Woods. 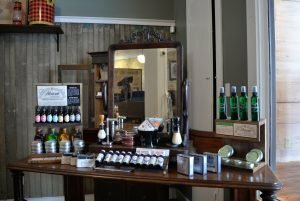 When we discussed moving back to Laurel to open a store, we originally had an old-fashioned mercantile in mind; we wanted to open something that was reminiscent of ‘Old Laurel’. 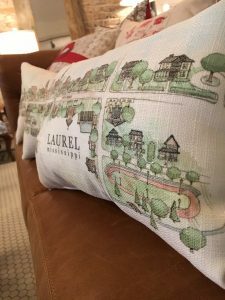 Laurel’s downtown thrived prior to Urban Renewal, and it felt respectful to look back at our city’s retail history to set the tone for her future. That concept was easier said than done, but we connected with Bethany Byrd of Own Your Hill, and she helped us put legs to our vision. She built our fantastic website and connected us with Ethan Manning ,who put together our gorgeous branding. “I think of that old saying, ‘If you want to hear God laugh, tell Him your plans.’ I’m a planner, and I tend to want everything to go exactly as I envision it; I try to avoid conflict, failure, and surprises through planning. Nothing in my life has worked out the way I thought it would, and I thank God for it. Just because something doesn’t work out the way you think it should doesn’t mean it’s not good for you — every experience, every failure, every supposed setback is teaching you something or preparing you for the next challenge you’ll face. 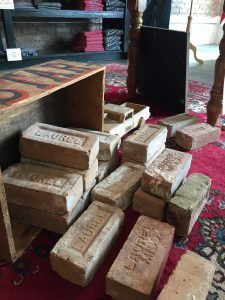 When asked what Caroline would like to see in Laurel’s future, she contributed some wonderful words that align perfectly with Lott Furniture Co. and Nellie’s vision. At Lott, we believe that the home is an outward expression of an inner representation of who you are as a person. Because of this, we always ask our Leading Ladies what their favorite piece of furniture in their homes is, and why. “Our dining table is the first project that Cory ever took on for us as a married couple, so it’s close to my heart. We bought it at a furniture auction, but he stripped, stained, painted, and basically rebuilt it. It’s beautiful to me — both because it’s actually a beautiful piece, but mostly because it was a labor of love. 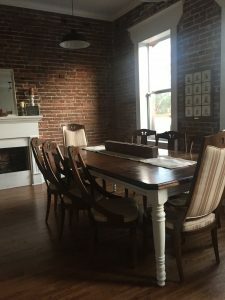 In our old house, we only had room for a bistro table, so we never had room to invite more than two other people to dinner. Now we’re finally able to have a meal with each of our families all at the same table. We are so grateful and honored to call Caroline our friend and our newest neighbor. We are so excited to ride alongside her in the Guild & Gentry journey and can’t wait to see the future success of Caroline and her business. Please join us in celebrating Caroline and Guild & Gentry by sharing this story and showing up to support Laurel’s newest men’s store today. And most importantly– #shopsmall. Have someone in your life that you think represents the strength and vision of Nellie Rowell? Nominate her now. Sign up in the gold box to receive updates every time we post! Community leader, entrepreneur, and loyal friend of Laurel, Mallorie Rasberry is an integral piece to our little town’s puzzle. Mallorie lives in the historic district along with her husband Jim, and their daughter Lucy. She and Jim own the First National Bank Building on Central Avenue. 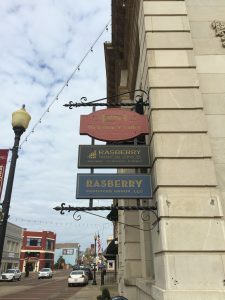 Within the building, they own Rasberry Producer Group and Rasberry Financial Services. In addition, Mallorie helps run the Laurel Welcome Center which is also located inside the building. 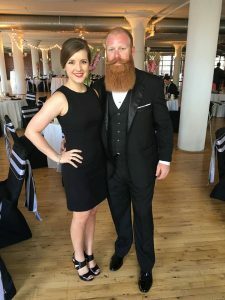 If that isn’t enough, she is an officer and board member of Laurel Main Street and co-owner of Laurel Mercantile Co. along with her husband Jim, Josh and Emily Nowell, and Ben and Erin Napier. In this blog series, we are highlighting various Laurel women who do great work for our community and inspire us to try harder and be better. These women remind us of our very own Leading Lady, the late Nellie Rowell. We chose Mallorie for her immense love for our town, her genuine kindness, and all the time and effort she has invested into Laurel. Born and raised on a dairy farm, she is a woman who has always known the cost and the value of hard work. And for her hard work, we can’t thank her enough. How did you end up right in the thick of everything that is Downtown Laurel? Well, I married Jim Rasberry. So that’s number one. He and his family have always been here and been very passionate for Laurel. Whenever Downtown wasn’t going well and wasn’t popular, they were still the ones here. He went to Southern, and I went to Ole Miss. He and Erin Napier are first cousins, and she was my roommate in Oxford. She was doing her senior art exhibit on the First National Bank Building. She did all the ads, promos, and whole marketing package for the business opening at the time, The Reserve. Jim came up to Oxford that evening to see the exhibit, and I met him there. It’s all Downtown related from the beginning, if you think about it. So, ever since I started dating Jim I always knew that passion was there in him and his dad. So it’s just one of those things that by marrying Jim and moving to Laurel, the Rasberry’s and Downtown were a package deal. It was easy for me to get behind it all because of the love that they had. Whenever somebody has that much passion, it really is infectious. I moved here from Tylertown, Mississippi in 2009, so everything here was at a very low point. But to see the potential, and to see what it used to be, it was really easy to get excited and to get involved. What are your roles in all the projects you’re involved in? Well, we have two businesses in the First National Bank Building. We have Rasberry Producer Group, which I run the day-to-day operations of. I do things anywhere from payroll, to training our agents, to paying bills. 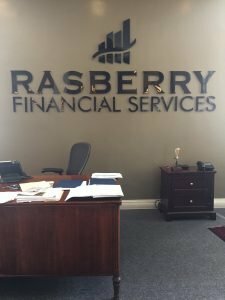 With Rasberry Financial, Jim handles the day-to-day stuff. I usually handle the books and behind-the-scenes operations. And of course we have the Laurel Welcome Center, where in the summer we have interns, but every other day I’ll be here to greet and answer questions. So, I find myself welcoming a lot of people to Laurel. I’m the outgoing President of Laurel Main Street, but I stayed on the board as Treasurer. I’ve stepped back from the committees and taken a break there while staying involved. 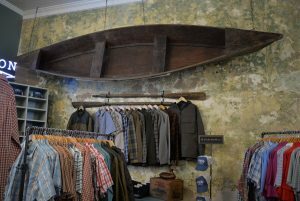 With Laurel Mercantile, I’m part owner, but I also handle all the purchasing and a lot of the product development. What advice would you give to other inspired and established businesswomen? Well, from a perspective of someone who isn’t from Laurel, what helped me most was getting involved. Whenever I moved here, I was working out of Hattiesburg. It wasn’t until I started working here and got on the board for Laurel Main Street that I truly felt vested. I wasn’t just Jim Rasberry’s wife anymore, I was Mallorie Rasberry. That can translate to women from here too. Being a part of the progress and change is a no-brainer for a successful business-person. Because you’re involved in so much, how do you balance it all? Do you have any advice about multitasking? what I’ve found by doing that is that I only like to work on downtown projects and communities. Limiting myself to working on projects that I care about helps a lot. What do you want to see in Laurel’s future? I want to see every storefront bustling. I want to see every facade redone. I want to see Downtown fully occupied with beautiful businesses that are thriving. I don’t want to see anymore unowned, empty buildings. The thought of being able to look down the streets and seeing every building looking as beautiful as it could be—that’s a dream. 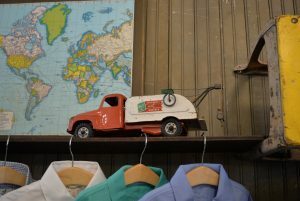 Where is your favorite place to go antiquing that some people may not know about? I love to dig. 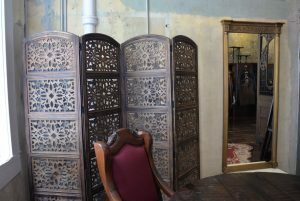 Whether it’s a new store or an antique store, more than anything I love to find a bargain. NUTS is a store that I have loved a long time. It’s one of my favorites because I know I’m getting a good deal while giving back to my community. I also donate a lot there too. It used to be a honey hole, but people are starting to catch wind of it. 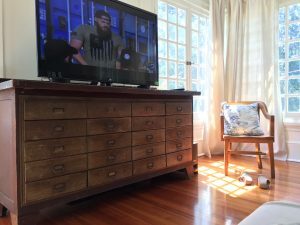 What is your favorite piece of furniture in your home and why? The console we have our TV on now. It was actually the previous owner of our 4th Avenue house, Mr. Landrum’s, worktable. We even took it with us to the new house because we love it so much. We found it in his old workshop where he used to repair watches. He actually had a drive-thru window in his shop where people would drive down the alley and drop off their watches for him to fix. When we found the table it was really dirty, and it was full of all of his stuff that no one had ever gone through. We found all of his travel maps and framed them in our house. It was really fun to clean it up and see the end product. 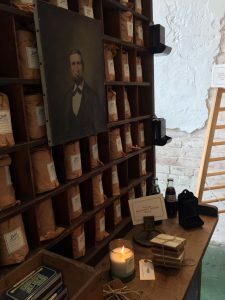 We are so grateful to call Mallorie our friend and neighbor, and are happy to see her projects and businesses thrive. We can’t wait to see what she accomplishes next and what is to follow. We are honored to get to hear Mallorie’s story first hand and excited to share it with you all! Join us in celebrating Mallorie, along with the other Leading Ladies of Laurel. Have someone in your life that you think represents the strength and vision of Nellie Rowell? Click here to nominate her now. Sign up in the gold box to get email updates and stay tuned for our next Leading Lady! In this series, we will be featuring mighty Laurel women of all types and professions that are driving forces of our town’s success, as well as inspiring to us all. Lily and her husband Adam own and run Adam Trest Home on North Magnolia St. in Downtown Laurel. 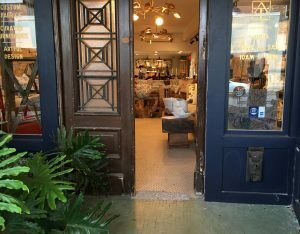 They sell gifts, furniture, homewares, and Adam’s art, along with housing a custom upholsterer upstairs and Adam’s studio. We chose Lily by her unashamed confidence, humility, and unmatchable drive. We are so excited and honored that we got to record her story, and just as much that we get to share it with you. What is your specific role in this business? What are all the things that you are in charge of getting done? My greatest role here is to make the store run properly. Adam creates the artwork, and generally Adam has a broad vision of what he wants to make. So it’s my job to make that vision possible or find avenues that will make it possible. And then all the follow-ups of running a business as well. Making sure bills are paid, making sure that we have inventory, following up with manufacturers, etc. Adam and I joke and say that I’m the “business” and he’s the “artist”. It’s almost really as cut and dry as that. I couldn’t work without him, and he couldn’t work without me. What does it actually take to run this business that people don’t realize? It mostly takes a combination of patience and an unstoppable drive to make it happen. Because it’s always a lot of “hurry up and wait”. Especially the part that is in my control. Because I am at Adam’s mercy when it comes to artwork and creating new things, but I am also at the manufacturer’s mercy when it comes to producing the new piece of furniture or artwork. So I’d say that it takes that combination of being patient enough to wait for the right thing, but being driven enough to not let the right thing pass you by. What advice would you give to other inspired or established entrepreneurial women? As a business-owner type entrepreneur, my biggest advice is to not sweat the small stuff. One of my pitfalls is that I try to micromanage everything. Just believe in your business enough that you can allow those small things to roll off your back. Believe in your vision, set a goal for yourself, set a goal for the store. Fight as hard and as much as you can while still being a functioning human and not letting it take over your life. But then again, it is your life. So you need to realize that this is going to be your second spouse, your second or third child, and everything to you. What do you want to see in Adam Trest Home’s future? What are you working towards? Well, we are still relatively new, but we are no longer content on just surviving. The next step is to expand, and our footprint in Downtown will hopefully grow in the next few months. We now have a full-service upholstery shop that we run out of the second story of our building, and we are outgrowing that. So, our next goal is to expand the upholstery part of what we do. We are also going to start compartmentalizing what we do into Adam Trest Home, Adam Trest Baby, Adam Trest Him, and Adam Trest Her. So now we will have more specific gift items and home items that will cater to each stage of life. It helps to compartmentalize your business and grow in a singular direction, rather than trying to grow in every direction at the same time. I’m so happy with everything that is happening in Downtown Laurel! It just makes me so happy to see other people going out on a limb and following their dreams, or creating a dream with Laurel in mind. So the one thing that I really hope will happen more aggressively than what’s happening now is that Laurel will become a more cohesive group of vendors. We are about to have a lot of exposure, and I just hope that we can come together to create interest in Laurel as a whole. So that we’re not going out and trying to promote ourselves, but to promote our town. While I know that the television show is going to help Downtown, I also know that every television show has a lifespan. We will only experience growth from it for a certain amount of time, and I want us all to be thinking of what we should be doing in a long-term aspect. What is your favorite piece of furniture in your home and what’s so special about it? My favorite piece that we have is my great grandmother’s dresser. And it’s just a simple little three-door dresser. It’s made out of an odd type of wood actually. It’s made out of hickory. And you don’t see a lot of furniture made of hickory anymore. It has odd pulls on it, 5 are the same, but one of them is different. And it’s got some wax stains on the top from burning so many candles over the years. My great grandmother was from North Carolina, and that’s where my grandmother grew up. My aunt had this dresser after my great grandmother passed away, and somehow it ended up at my parents’ house. As I grew up, I commandeered it and took it with me to college and it’s been with me ever since. The funny thing about it though is that the dresser was with her in North Carolina, and now everything we do is based out of North Carolina. And now I’m in the furniture business. It’s almost like this odd symbol that my life has totally come full-circle. And there’s really nothing special about the piece, but I really do love it and it’s the first piece of furniture I always place in my home. We are thankful for our great neighbors at Adam Trest Home and are proud of their thriving business, as well as their part in our community. time as they await a new child. Many great things are coming for Laurel, and we are so glad to have Lily taking part in them. We hope that everyone can come together to make Laurel the best town that it can be, and to celebrate the people who are making it happen. Sign up in the gold box for email updates and follow our newest “Leading Ladies” series! 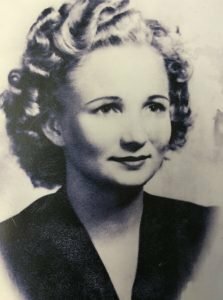 A caretaker of Lott Furniture and local fixture for over 58 years, Nellie was well-known and well-loved in Laurel. She was all of the values that we hold tightly to and strive to uphold. She was humble, hard-working, unshakably steadfast, and the strongest of leaders. In the late 40s, Nellie Rowell moved to Laurel from her hometown of Newton, Mississippi to seek any work she could find. In her early 20s, unexpectedly left by her husband, and a newly single mother of two children, Nellie came to Mr. Lott with just a high school diploma and a promise of devotion to her job. She worked steadfastly and unflinchingly for 58 years, becoming a figurehead, and a dog-eared page in the Lott Furniture story. In 1983, Nellie’s longtime coworker and friend, Bernie Stockman passed away, leaving Nellie in need of help. Three of her children became regular employees during these years, filling roles she couldn’t by herself. Her sons Bobby and Rodney made deliveries and worked as outside salesmen, and Rodney’s wife Angie assisted her in the office. Reuben Lott and his wife Blondie both passed away in the late 80s, leaving a new family to be protectors of the Lott legacy. A new story to tell. Laurel is rich with hundreds of pages collected and shared by many mouths, that form this big story that’s worth telling. It’s old souls spinning yarns out on the porch to little ones, just hoping that their words never collect dust. It’s friends sharing fond memories of childhood and natives welcoming the newcomers who are writing their very first words on their pages. As we near the turning point, the climax, of the story of our little town, we find that many of our most treasured pages are women. In our new blog series entitled “Leading Ladies,” Laurel women who exude the qualities above will be highlighted and honored and get the opportunity to share their stories with us. Our town would not be what it is, and what it’s becoming, without these mighty women, our Leading Ladies. The women in this series pull on our hearts and remind us of Nellie. If she were still with us, we believe her vision for Laurel would line up with ours closely. We are hopeful for a future filled with new beginnings and great success but still hold tight to what we have and honor these things wholeheartedly. We hope you will help us honor those women among us who are helping to make it happen, and that you will join us in writing new stories yet to be told. Have someone in your life who represents the strength and vision of Nellie Rowell? Click here to nominate her now. – Keri Rowell, Lott Furniture Co.
Sign up in the gold box for email updates and to follow our “Leading Ladies” series.